The trench coat was a utilitarian design and a necessity during World War I. Fast forward to a few years later, and it caught on to the likes of civilians at a time that was the beginning of the perennial changes. 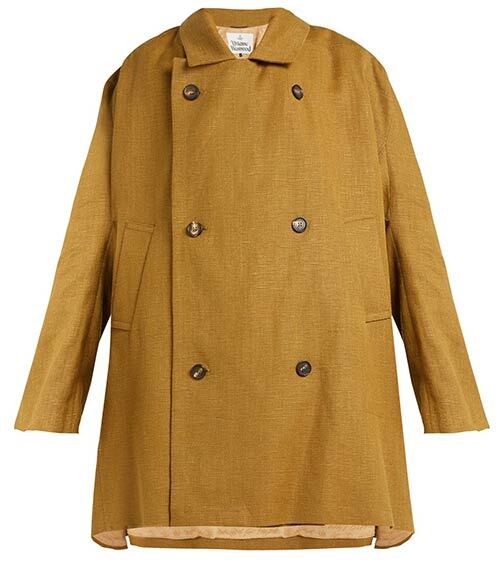 And then, for the longest time, the trench just remained a classic camel coat. Then, there was phase two, where designers started playing with it, adding their signature to the style and giving it their spin. But how do you look beyond and beat the stereotype by choosing something that suits your body type, preference, or personal style? Let’s look at that today. Keep readin’! 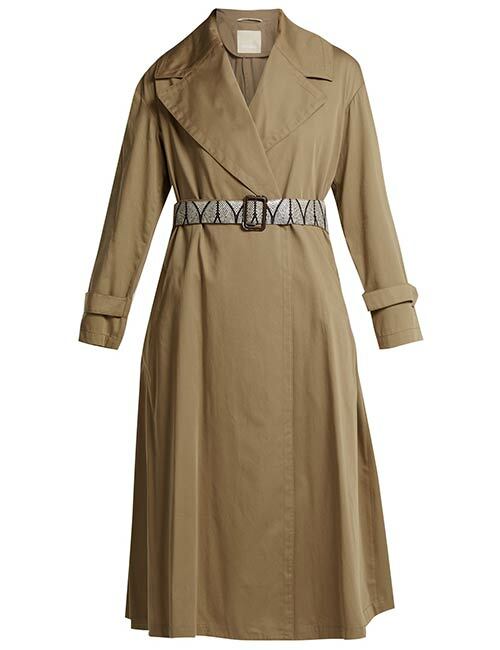 The belted khaki trench from Calvin Klein is encompassing – it hugs you at the right places, fits well, and flares out into a perfect pirouette at the hemline. The belt helps with the act and can be your classic trench, but with a twist. It looks excellent on bodycon dresses and ankle boots. Zara, the hot favorite for most women across the world, has an excellent take on the trench coat that goes with any clothing – right from the everyday essentials like frayed jeans and white converse shoes to the one piece or bodycon dresses. We have all seen our share of khaki, camel, and navy. But now, it’s time for the black trench to take over! Most of us prefer trench coats with long and overarching layers mostly used in chilled weather conditions. 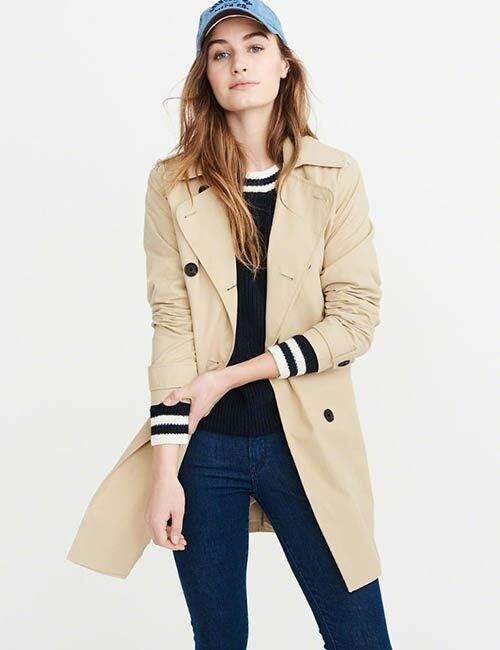 But thanks to brands that are changing that trend, here’s a trench that is breathable, cool, and luxurious too! Finally, cool trench, literally! It is perfect for summers, and with a storm cap, it looks all the more stylish (and it’s also weather resistant). 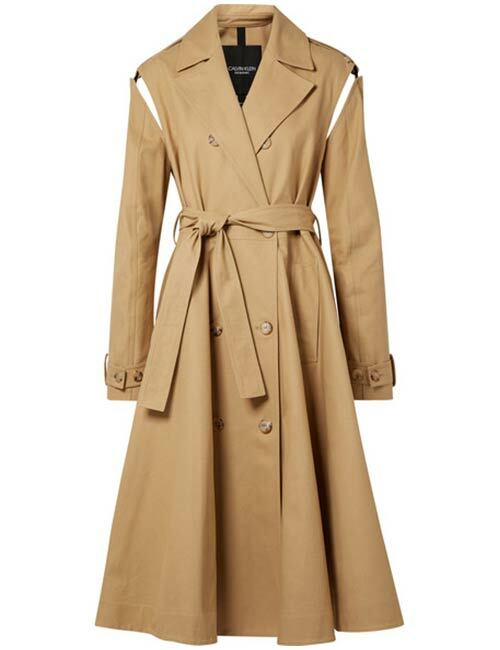 The classic vintage trench coat from Burberry is what all trenchcoat dreams are made of. It brings together two classic pieces of outerwear clothing, the trench and car coats. It is made from calf leather and makes for a beautiful silhouette. If you are looking to invest in a classic Burberry Trench Coat, here’s your pick. Looking for a trench coat that is both sporty and timeless? The A&F Double Breasted Trench Coat is a blend of bold details with a sporty silhouette. It is made from cotton that makes it breathable and light in summers too. The wide neckline and wrap-around belt ending right below the knees make this one irresistible. 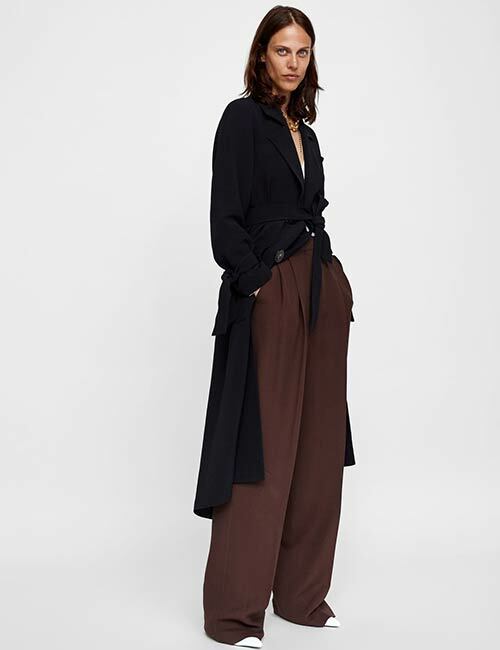 The Lapel trench from Mango is a flowy, wide, and unique take on the concept of a trench coat. It comes with wide lapels, broad shoulders, long buttoned sleeves, detachable belt, buttons, and a back slit detailing that adds to a perfect hundred. 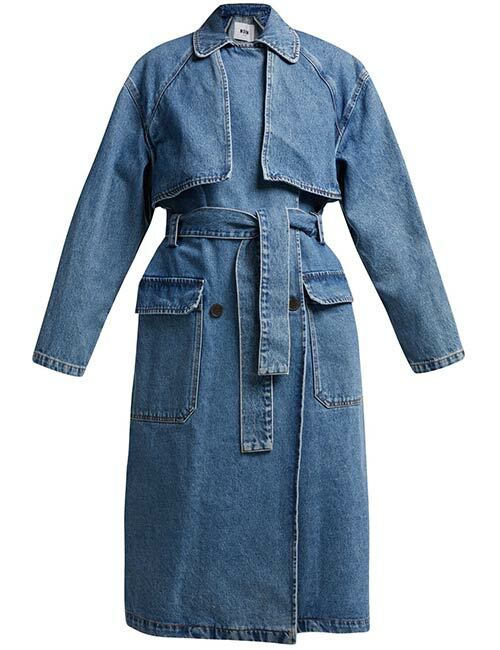 The denim trench coat is a unique take on the concept – with an overarching denim overlay that became the best of this collection. This double-breasted trench coat is handmade in Italy and is a mix of unusual design details like the top-notch lapels, storm flaps, front pockets, and a deconstructed waist belt. It is an accurate definition of street style meeting high fashion. 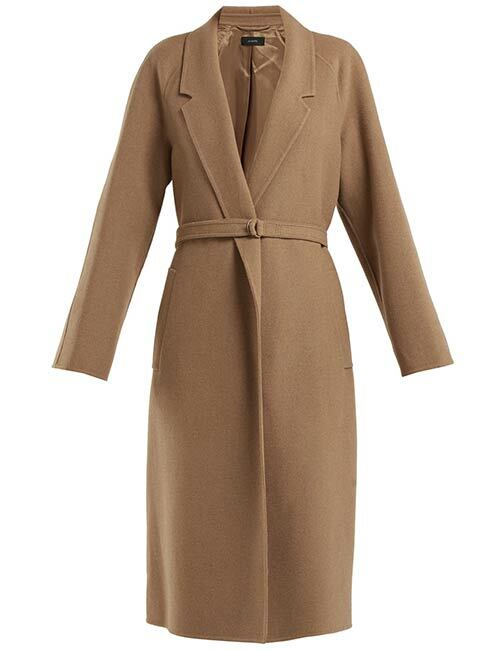 The tan-brown trench from S MaxMara is a sophisticated, suave, and an elegant take on the trench coat – with the cotton fabric adding to the charm. It is a discerning choice for the urban working woman. It is truly artistic, featuring a contrast geometric buckle belt that defines the waistline. This looks particularly great with formal clothing in either winters or fall. Make your midweek exciting with this jacket. The Vivienne Westwood trench coat was showcased as part of a film called Don’t Get Killed, which was a one of its kind way to present a collection, unlike the typical runway format. 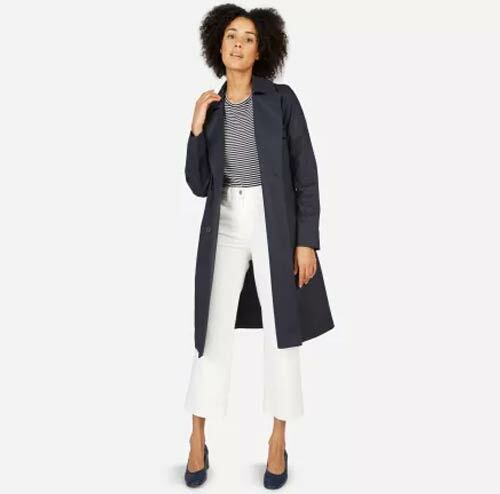 The Gabelle hemp trench coat is a more relaxed fit, unlike most trench coats that are usually tapered. The bracelet sleeves feel like they are dropping off the shoulder seams like a beautiful waterfall. There is a cotton lining that runs through the body that ensures the jacket sits and drapes well around your body. A relaxed trench coat with cigarette pants and chunky booties are just perfect. 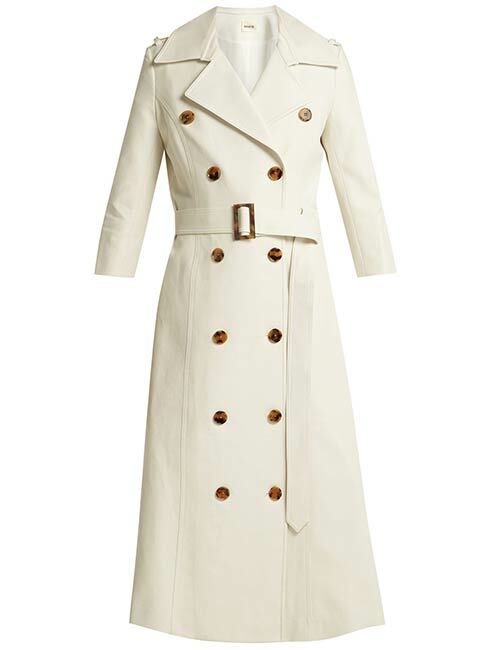 A white trench coat, anyone? This cotton trench coat from New York Khaite is made from pure Italian cotton. 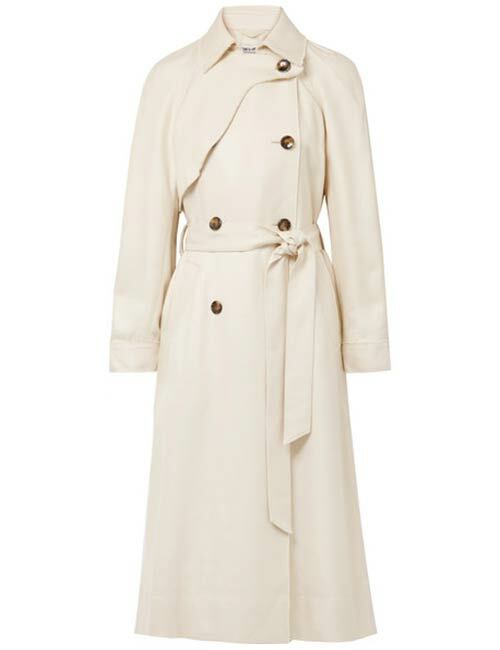 The classic trench coat is given a makeover by mixing cotton for the exterior and an inner silk lining that runs inside. There are exciting and traditional components to this, like the epaulets and deep yoke at the rear. The tortoiseshell accents pop out white in the right proportions. Instead of tapered pants, pair this jacket with wide-legged trousers. 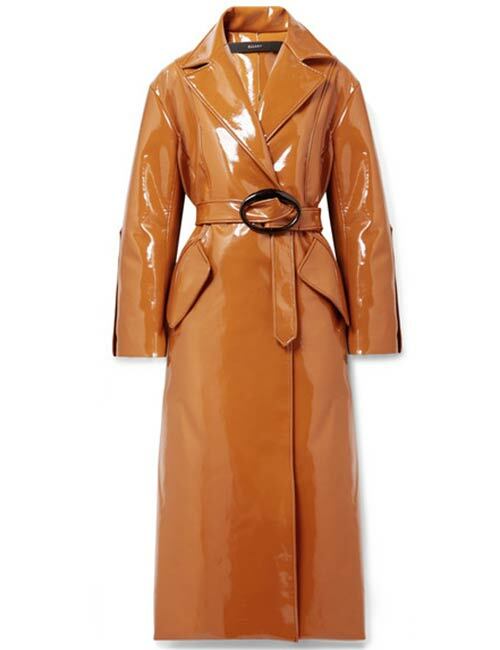 This camel brown Yves Salomon trench coat is made in the tradition of the Parisian label developed over four generations of family ownership since 1910. 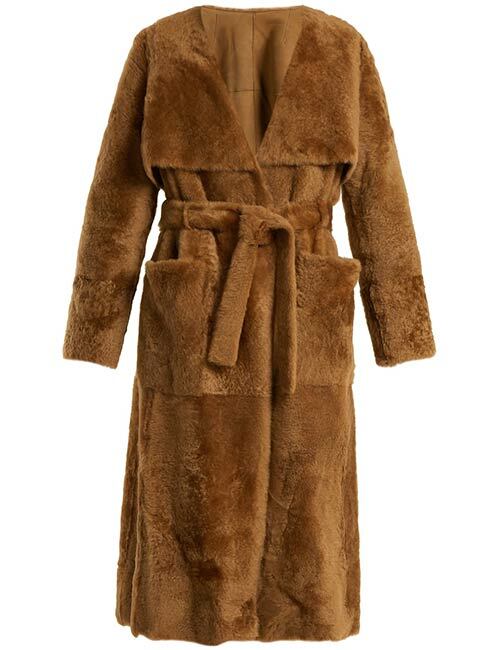 It is made from heavyweight lamb shearling with front patch pockets, storm and wind flaps, and a detachable waist tie. Shrug it over your favorite denim and leather loafers for an elevated casual look. 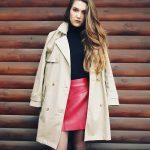 If you prefer a retro and vintage camel trench coat, of course, with a tinge of contemporary elements to it – this Parisian brand might give you just that. The camel brown trench coat from Yves Salomon is the brainchild of a traditional clothing label that changed over four generations. And this means they know what they are into. The front, flaps, and waist belt are made with heavy duty lamb shearling material. Match this with leather jeggings and knee-high boots, or keep it casual in pieces of denim and loafers. 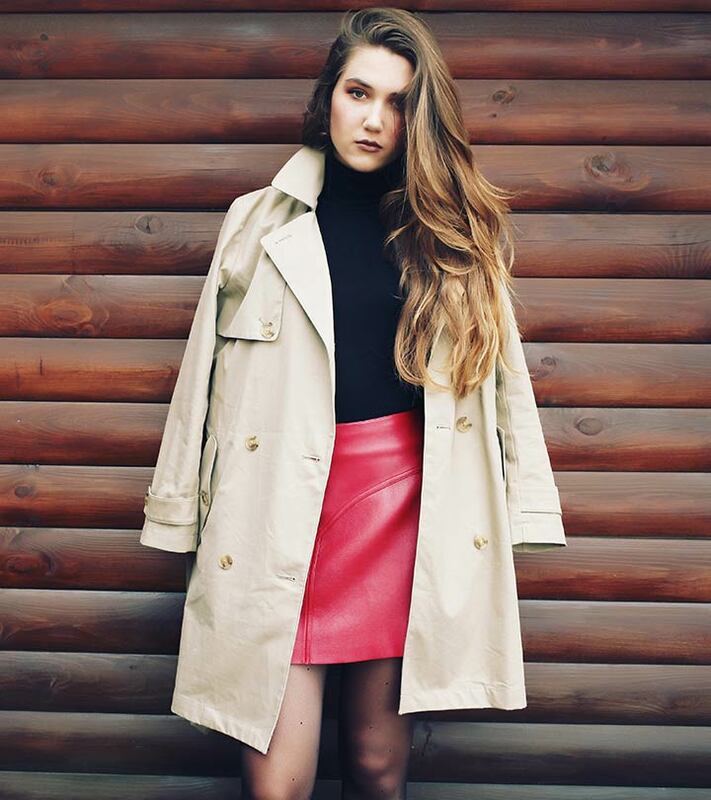 Add this vinyl trench coat to your coat closet, and feel like a runway model yourself. 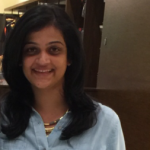 It makes winters interesting and formal clothing exciting. You can match this with formal and party clothing alike. This is a frayed, woven, off-white trench coat for everyone who loves the vintage charm that the jacket brings. But it oozes contemporary style too. If you like a more relaxed but encompassing fit for your trench coat, this might be a great addition to your wardrobe. You can add layers and take them off with a trench coat. Plus, it comes in all variants. We know now, don’t we? It is more than just a long camel-colored jacket, thanks to designers who are changing it for us, time and again. What is your favorite trench coat? How do you like to style it? Is it an everyday essential or a prized possession you save for special occasions? Let us know by dropping in a text in the comment section below.